Positive attitude, professional appearance, team player, good organisational skill, customer-service oriented, able to multi task, independent and good interpersonal skills with a sense of responsibility. Must hold valid driving license, (D/DA/E/E1/E2 class). Adequate working skill with Microsoft Excel, Word and PowerPoint. 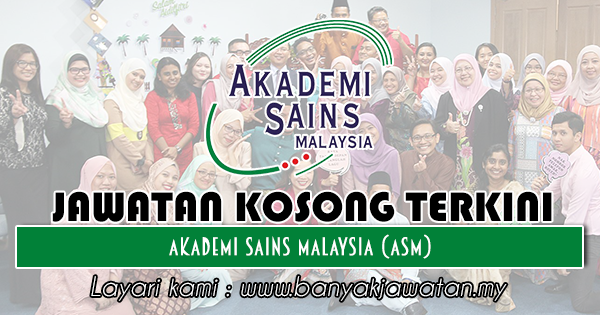 0 Response to "Jawatan Kosong di Akademi Sains Malaysia (ASM) - 17 Ogos 2018"